Nintendo has made some interesting choices when it comes to their consoles, and for the most part, they’ve been a success. From motion controls with the Wii to having a true portable console like the Switch. The company has recently announced a DIY set of tools made of cardboard for the Switch, called Labo. The Nintendo Labo Kits has technology and tools to make the Switch’s Joy-Con controllers into Toy-Con controllers. So anything from a motorcycle, a robot to even a piano can be made using a the Labo kit. Once you create your Toy-Con, you can customize it to your heart’s content with stickers, markers or paint to give each that personal touch. Nintendo Labo will release on April 20th and be available in two kits, the Variety Kit and the Robot Kit. 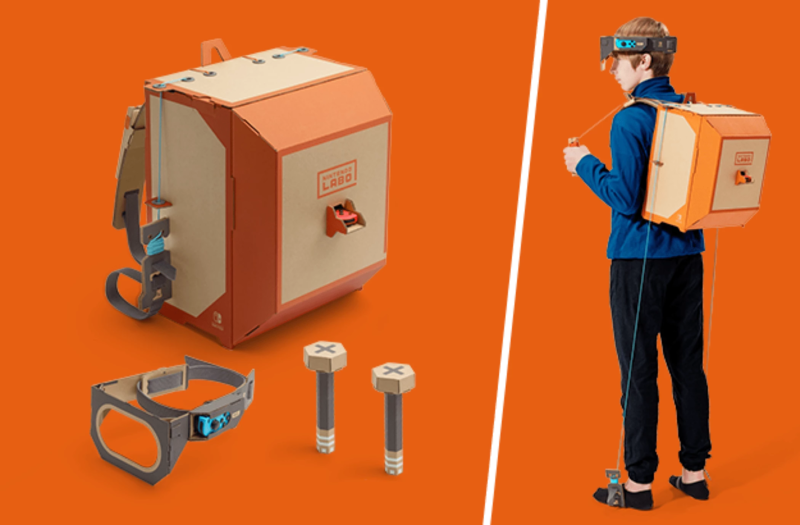 Nintendo hasn’t announced Canadian pricing yet for the Labo kits but the US pricing is as follows, $70 USD for the Variety Kit and $80 USD for the Robot Kit. There will also be a special Customization Set that has stencils, stickers, coloured tape at launch for $10 USD.